The U.S. Consulate General Public Affairs Section in Hyderabad, India accepts grant proposals from non-governmental organizations, educational institutions, and other legally-recognized non-profit institutions in India to develop and implement educational and cultural programs. The Proposals must focus on one of the themes and aim to promote the identification of constructive solutions to global challenges; and other projects to strengthen cooperation and peaceful relations between India and its regional neighbors. A Grant minimum of $1000 and maximum of $3000 will be awarded and the proposed budget period is 1 year. > Promote stronger U.S.-India bilateral relations, with an emphasis on business and people to people ties. > Encourage responsible Indian regional and global roles. * Indian organizations registered as not-for-profit, non-governmental, and other legally-recognized non-profit institutions are eligible to apply. 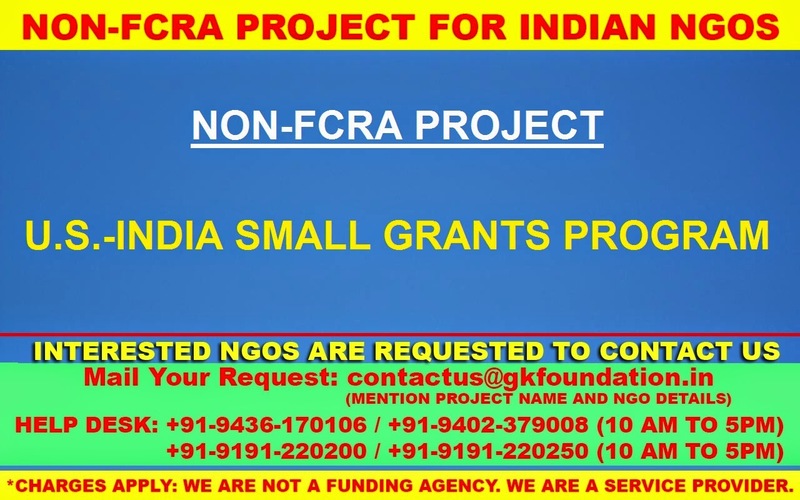 * Applicants must be affiliated to the Foreign Contribution Regulation Act (FCRA) of the Government of India. * Before applying, Applicants must acquire all required registrations in the India. * Applicant must meet the intellectual property considerations and rights in India. * Applications must be submitted by an Authorized Organization Representative (AOR) of the applicant organization. * Proposals must focus on one of the specified priorities/themes of the U.S. Diplomatic Mission to India. * Proposals can include, but are not limited to, projects, seminars, conferences, workshops, cultural (art, music, or theater) programs, exhibitions and outreach campaigns. * Grants must not be used for religious organizations or partisan political activity; individual trips abroad (i.e., out of India); for-profit trade activities; fundraising campaigns; commercial projects; scientific research; projects whose primary aim is the institutional development of the organization; ongoing operational expenses; infrastructure; or representational expenses (lunch, alcoholic beverages, etc. ).